After successfully surviving an internship, an intensive training program, and also playing guinea pig to extra dangerous ghostbusting prototypes, THE ROOKIE (whose name no one can seem to remember) was given the chance to open his own franchise in the greater Chicago area. 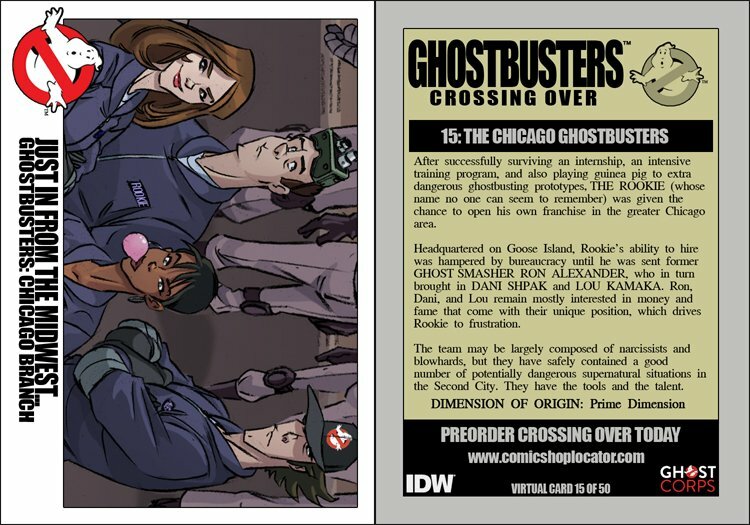 Headquartered on Goose Island, Rookie's ability to hire was hampered by bureaucracy until he was sent former GHOST SMASHER RON ALEXANDER, who in turn brough in DANI SHPAK and LOU KAMAKA. Ron, Dani and Lou remain mostly interested in money and fame that come with their unique position, which drives Rookie to frustration. The team may be largely composed of narcissists and blowhards, but they have safely contained a good number of potentially dangerous supernatural situations in the Second City. They have the tools and the talent.